Space is limited at each event, so be sure to reserve your spot today. You can find more information at the Guitar Center workshop calendar. To keep up with the latest BOSS events and clinics, visit our event calendar. Katana amps are true breakthrough products, delivering sound quality, punch, and versatility that far exceeds their very affordable prices. Using advanced Tube Logic technology first developed for the Blues Cube and Waza amps, the Katana series offers not only top-level tone, but also the inspirational feel, interactive response, and big presence of classic tube designs. Going even further, they also include onboard support for 55 different BOSS effects, which can be easily customized from your computer using the free BOSS Tone Studio editor software. 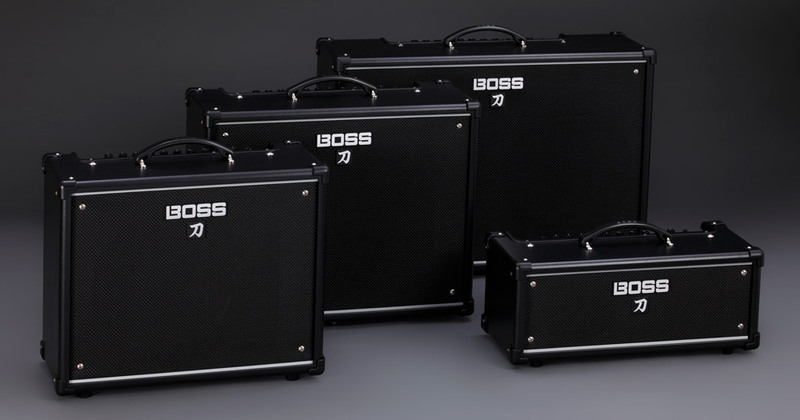 Learn all about the Katana amp lineup at the BOSS website. The Katana lineup includes four different models: the Katana-50, Katana-100, Katana-100/212, and Katana-Head (left to right).